The Great Schism of 1054 split Christianity between Greek East and Latin West. Attempts were made over the subsequent centuries to heal the rift, such as the 1274 Second Council of Lyon and the 1439 Council of Florence, but these failed. More recent attempts to foster closer relations between the churches included the Catholic–Orthodox Joint Declaration of 1965 following the 1964 meeting between Pope Paul VI and the Ecumenical Patriarch Athenagoras I of Constantinople in Jerusalem. 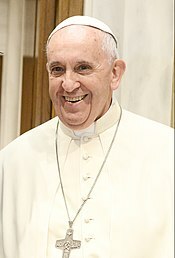 Following that meeting and declaration, a number of meetings, visits and symbolic events had taken place involving Catholic and Orthodox leaders (including visits by Pope John Paul II, and especially between several popes and Bartholomew I of Constantinople), but never a meeting between a Pope and a leader of the Russian Orthodox Church. 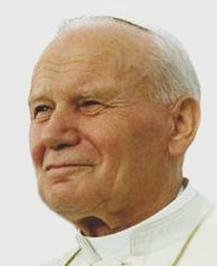 The first time a Pope visited a predominantly Eastern Orthodox country was in 1999 when Pope John Paul II visited Romania. Since 1980, regular plenary sessions of the Joint International Commission for Theological Dialogue Between the Catholic Church and the Orthodox Church, the latter being led by the Church of Constantinople, had been held. A canonical territory is a geographical area seen as belonging to a particular patriarchate or autocephalous Church as its own. The concept is found both in the Eastern Orthodox Church and in the Roman Catholic Church, and is mentioned extensively in the Code of Canons of the Eastern Churches. 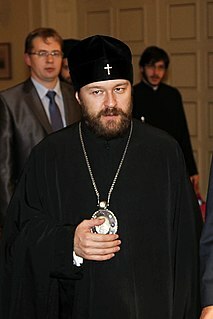 Hilarion Alfeyev is a bishop of the Russian Orthodox Church. At present he is the Metropolitan of Volokolamsk, the chairman of the Department of External Church Relations and a permanent member of the Holy Synod of the Patriarchate of Moscow. He is also a noted theologian, church historian and composer and has published books on dogmatic theology, patristics and church history as well as numerous compositions for choir and orchestra. The Patriarch of Moscow and all Rus', also known as the Patriarch of Moscow and all Russia, is the official title of the Bishop of Moscow who is the primate of the Russian Orthodox Church. It is often preceded by the honorific "His Holiness". While as the diocesan bishop of the Moscow diocese he has direct canonical authority over Moscow only, the Patriarch has a number of church-wide administrative powers within and in accordance with the charter of the Russian Orthodox Church. The patriarchate was established in Moscow in 1589: the first patriarch was Job. Abolished in 1721 by Peter the Great, the patriarchate was restored on October 28, 1917, by decision of the All-Russian Local Council. Patriarch Kirill acceded to this position on 1 February 2009. 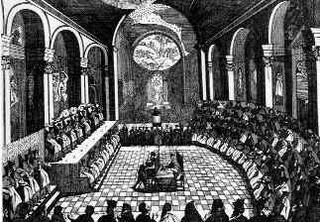 The Bishops' Council of the Russian Orthodox Church is a local Council, which involves only the bishops, is a formal gathering or council of bishops together with other clerical and lay delegates representing the church to deal with matters of faith, morality, rite, and canonical and cultural life. 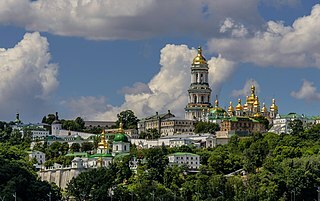 The supreme body of the hierarchical control of the Russian Orthodox Church, as well as the highest authority in the management of the Ukrainian Orthodox Church. Metropolitan John of Chersonesus and Western Europe is a Metropolitan of the Russian Orthodox Church and primate of the Patriarchal Exarchate in Western Europe. The Spanish-Portuguese diocese (SPD) or Diocese of Madrid and Lisbon is a diocese of the Russian Orthodox Church (ROC) created on 28 December 2018. The primate of the SPD is Archbishop Nestor (Sirotenko) [ru] who holds the title of "of Madrid and Lisbon". The diocese is part of the Patriarchal Exarchate in Western Europe. 1 2 3 4 5 6 "Unity call as Pope Francis holds historic talks with Russian Orthodox Patriarch". BBC. 13 February 2016. Archived from the original on 12 February 2016. Retrieved 2016-02-14. 1 2 3 4 5 6 7 8 9 10 11 12 "Meeting of His Holiness Pope Francis with His Holiness Kirill, Patriarch of Moscow and All Russia". w2.vatican.va. The Holy See. 12 February 2016. Archived from the original on 15 February 2016. Retrieved 2016-02-14. 1 2 Alfeyev, Hilarion (25 February 2016). "Mitropolit Ilarion: o vstrechi papy i patriarkha budut daleko idushchiye posledstviya" Митрополит Иларион: у встречи папы и патриарха будут далеко идущие последствия [Metropolitan Hilarion: the meeting of pope with patriarch will have future consequence]. tass.ru (Interview) (in Russian). Interviewed by Alexander Mudrats. Moscow: TASS. Archived from the original on 2016-02-25. Retrieved 2016-02-25. ↑ Alfeyev, Hilarion (11 February 2016). "Protivorechiya polnostyu ne preodoleny" Противоречия полностью не преодолены [Contradictions not overcome completely]. kommersant.ru (Interview) (in Russian). Interviewed by Pavel Korobov. Moscow: Kommersant. Archived from the original on 2016-02-11. не преодолены вероучительные разногласия. Однако целью встречи и не является обсуждение вероучительных вопросов. Во-вторых, не преодолены те разногласия практического характера, которые омрачают жизнь наших церквей. ↑ В РПЦ считают беспочвенными опасения относительно возможности слияния Православной и Католической церквей после встречи на Кубе [The ROC believe apprehensions about a merger of Orthodox and Catholic Churches after meeting in Cuba to be groundless]. NEWSru (Interview) (in Russian). 17 February 2016. я хотел бы посоветовать внимательно прочитать декларацию папы и патриарха, она показывает, на какие темы шла беседа. Там не было никакой попытки вероучительного сближения или вообще даже обсуждения каких-либо догматических или богословских вопросов. И сейчас такое обсуждение совершенно не стоит на повестке дня. Декларация начинается с того, что утрата Богозаповеданного единства является нарушением заповеди Христа, прозвучавшей в Его последней первосвященнической молитве: "Да будут все едины". К сожалению, христиане не смогли сохранить это единство, христиане Востока и Запада разделены и не участвуют совместно в евхаристии. Но речь сейчас идет не о преодолении этого разделения, а о том, чтобы научиться жить и действовать в этом мире не как соперники, а как братья, чтобы вместе защищать те ценности, которые являются для нас общими, чтобы совместно проповедовать Евангелие, открывать людям Божию правду. 1 2 Alfeyev, Hilarion (17 February 2016). "Mitropolit Ilarion: vse dolzhny vstat na put primireniya" Митрополит Иларион: все должны встать на путь примирения [Metropolitan Hilarion: all must rise to the path of reconciliation] (Interview) (in Russian). Interviewed by Olga Lipich. Moscow, RF: RIA Novosti. Archived from the original on 2016-02-17. Retrieved 2016-02-17. 1 2 "Ukrainian Greek Catholics 'betrayed' by pope-patriarch meeting". hurriyetdailynews.com. Istanbul, TR: Hürriyet Daily News. Agence France-Presse. 14 February 2016. Archived from the original on 2016-02-17. Retrieved 2016-02-16. 1 2 Shevchuk, Sviatoslav (13 February 2016). ""Two parallel worlds" – an interview with his beatitude Sviatoslav". ugcc.ua (Interview). Interviewed by Ihor Yatsiv. Kyiv, UA: Ukrainian Greek-Catholic Church. Archived from the original on 2016-02-16. Retrieved 2016-02-17. 1 2 3 "Kyyivskyy patriarkhat vidpoviv Papi Rymskomu i patriarkhu Kyrylu" Київський патріархат відповів Папі Римському і патріарху Кирилу [Kyiv Patriarchate response to Pope and Patriarch Kirill]. pravda.com.ua (in Ukrainian). Kyiv, UA: Ukrayinska Pravda. 16 February 2016. Archived from the original on 2016-02-17. Retrieved 2016-02-16. 1 2 3 4 Winfield, Nicole (12 February 2016). " 'Finally': Pope meets Russian Orthodox leader". Associated Press. Archived from the original on 16 February 2016. Retrieved 2016-02-14. 1 2 3 4 5 6 7 Scammell, Rosie (10 February 2016). "Pope Francis and Russian patriarch to meet in Cuba in historic breakthrough". Prairie Messenger. Religion News Service. Archived from the original on 16 February 2016. Retrieved 2016-02-14. ↑ "Pope's Orthodox mass bridges divide". bbc.co.uk. London: BBC News. 9 May 1999. Archived from the original on 15 March 2015. ↑ Hitchen, Philippa (28 January 2016). "Orthodox leaders conclude Geneva meeting in preparation for 'Great Council' ". Vatican Radio. Archived from the original on 29 January 2016. Retrieved 2016-02-14. 1 2 3 Russian Orthodox Church (7 June 2008). "Osnovnyye printsipy otnosheniya Russkoy Pravoslavnoy Tserkvi k inoslaviyu" Основные принципы отношения Русской Православной Церкви к инославию [Basic principles of attitude of the Russian Orthodox Church to non-Orthodox]. patriarchia.ru (in Russian). Moscow. Archived from the original on 10 October 2009. Retrieved 2016-03-03. 1 2 3 Rozanski, Mitchell T. (5 February 2016). "Pope Francis, Patriarch Kirill and the God of Surprises". USCCB Blog. United States Conference of Catholic Bishops. Archived from the original on 16 February 2016. Retrieved 2016-02-14. 1 2 Allen Jr., John L.; San Martín, Inés (12 February 2016). "Pope, Russian patriarch embrace in historic meeting". Crux. Boston Globe Media Partners. Archived from the original on 13 February 2016. Retrieved 2016-02-14. 1 2 Polk, Peggy (17 July 2004). "Pope to return icon to Russian patriarch". The Tablet. London. pp. 31–32. ISSN 0039-8837 . Retrieved 2016-02-15. 1 2 3 "Historic encounter between the Pope and Patriarch of Moscow and All Russia". 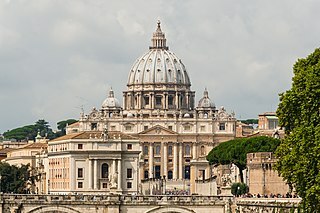 Vatican Information Service. 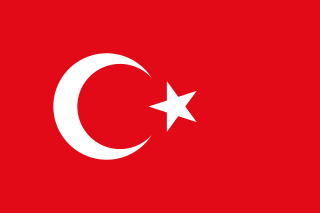 13 February 2016. Archived from the original on 16 February 2016. Retrieved 2016-02-14. ↑ Borgia, Gregorio (12 February 2016). [Icon of Our Lady of Kazan displayed next to Pope Francis and Patriarch Kirill] (Photograph). Moscow: Sputnik (published 13 February 2016). Agence France-Presse. Archived from the original on 17 February 2016. Retrieved 2016-02-17. ↑ Alfeyev, Hilarion (24 April 2005). "Habemus Papam!" [We have a pope!]. 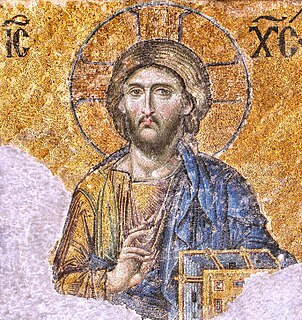 orthodoxeurope.org. Europaica: bulletin of the Representation of the Russian Orthodox Church to the European Institutions. Department for External Church Relations of the Moscow Patriarchate. Archived from the original on 11 March 2016. Retrieved 2016-03-11. ↑ Alfeyev, Hilarion (17 September 2005). Can Europe breathe with one lung? Catholic-Orthodox dialogue today (Speech). 6th Gniezno Convention: "Europe of dialogue. To be Christian in contemporary Europe" held 16–18 September 2005 at Gniezno, Poland. ekai.pl. Warsaw, PL: Katolicka Agencja Informacyjna (published 18 September 2005). Archived from the original on 11 March 2016. Retrieved 2016-03-11. 1 2 Written at Bari, Italy. "Cardinal Kasper proposes a synod with Orthodox". zenit.org. New York: Innovative Media. Zenit News Agency. 26 May 2005. Archived from the original on 13 March 2016. Retrieved 2016-03-13. 1 2 3 4 5 Yardley, Jim (12 February 2016). "Pope and Russian Orthodox Leader Meet in Historic Step". New York Times. Archived from the original on 16 February 2016. Retrieved 2016-02-14. 1 2 3 Stanglin, Doug (12 February 2016). "Pope, patriarch meet in Cuba nearly 1,000 years after split". USA Today. Archived from the original on 16 February 2016. Retrieved 2016-02-14. 1 2 "Zavershilas vstrecha Svyateyshego Patriarkha Kirilla s Papoy Rimskim Frantsiskom" Завершилась встреча Святейшего Патриарха Кирилла с Папой Римским Франциском [Patriarch Kirill completed meeting with Pope Francis]. www.patriarchia.ru (in Russian). Russian Orthodox Church. 13 February 2016. Archived from the original on 14 February 2016. Retrieved 2016-02-14. ↑ "Meeting with Pope was prepared in secret because of too many opponents – Patriarch Kirill". interfax-religion.com. 24 February 2016. Archived from the original on 2016-02-25. Retrieved 2016-02-26. ↑ "Sovmestnoye zayavleniye Papy Rimskogo Frantsiska i Svyateyshego Patriarkha Kirilla" Совместное заявление Папы Римского Франциска и Святейшего Патриарха Кирилла [Joint statement of Pope Francis and Patriarch Kirill]. www.patriarchia.ru (in Russian). Russian Orthodox Church. 13 February 2016. Archived from the original on 14 February 2016. Retrieved 2016-02-14. ↑ Chirovsky, Andriy (16 February 2016). "Called to unity". firstthings.com. New York: Institute on Religion and Public Life. Archived from the original on 18 February 2016. Retrieved 2016-02-17. ↑ Minin, Stanislav (17 February 2016). "Москва и Рим сдали унию в архив: Патриарх и папа подписали то, о чем Церкви договаривались еще в 1993 году". Nezavisimaya gazeta. Retrieved 2016-03-01. Встречу патриарха Московского и всея Руси Кирилла и папы Римского Франциска, думается, назвали "встречей тысячелетия" не только из невежества. Конечно, исторической правды в этом определении нет. Папы за последние 50 лет неоднократно встречались с патриархами Константинопольскими, а взаимные анафемы были сняты еще в 1964 году. 1 2 Gajek, Maciej (13 February 2016). "O co naprawdę chodzi w spotkaniu Franciszka z Cyrylem?" [What does the meeting of Francis with Kirill really mean?]. newsweek.pl (in Polish). Warsaw, PL: Ringier Axel Springer Polska. Archived from the original on 17 February 2016. Retrieved 2016-02-17. ↑ Luhn, Alec (12 February 2016). " 'Finally! ': pope and Russian patriarch meet for first time in 1,000 years". The Guardian. Archived from the original on 13 February 2016. Retrieved 17 February 2016. ↑ McLaughlin, Daniel (14 February 2016). "Unease in Ukraine at church leaders' Cuba talks". irishtimes.com. Irish Times. Archived from the original on 15 February 2016. Retrieved 17 February 2016. 1 2 3 Gudziak, Borys (11 February 2016). "Pope Francis and Patriarch Kirill". First Things. Institute on Religion and Public Life. Archived from the original on 16 February 2016. Retrieved 2016-02-14. ↑ Goble, Paul (20 May 2015). "Moscow Patriarchate rapidly losing out in Ukraine—and beyond". jamestown.org. 12 (94). Washington, DC: Jamestown Foundation. Eurasia daily monitor. OCLC 506240142. Archived from the original on 2016-02-25. Retrieved 2016-02-25. ↑ Chryssavgis, John (3 March 2015). "At Last, A Council for the Ages?". First Things. Institute on Religion and Public Life. Archived from the original on 4 March 2015. Retrieved 2016-02-14. ↑ "Did the pope just kiss Putin's ring?". economist.com. London: The Economist. 15 February 2016. Archived from the original on 16 February 2016. Retrieved 16 February 2016. ↑ " 'Be patient, the declaration signed on Cuba cost the Vatican a lot of difficulties', Apostolic Nuncio to Ukraine". risu.org.ua. Lviv, UA: Religious Information Service of Ukraine. 15 February 2016. Archived from the original on 2016-02-18. Retrieved 2016-02-18. ↑ "Papa Rymskyy: u kozhnoho svoya dumka, khto pochav viynu v Ukrayini" Папа Римський: У кожного своя думка, хто почав війну в Україні [Pope: Everyone has his own opinion of who started the war in Ukraine]. pravda.com.ua (in Ukrainian). Kyiv, UA: Ukrayinska Pravda. 19 February 2016. Archived from the original on 2016-02-19. Retrieved 2016-02-19. 1 2 3 4 Russian Orthodox Church (February 2016). "Statute of the Russian Orthodox Church". patriarchia.ru (2013 ed.). Moscow. Archived from the original on 6 March 2016. Retrieved 2016-03-07. 1 2 3 Chapnin, Sergei (1 March 2016). Written at Moscow, RF. " 'Heretic and traitor': fundamentalists term Orthodox Patriarch Kirill who met with Pope Francis in Cuba". asianews.it. Milan, IT: AsiaNews. Archived from the original on 2 March 2016. Retrieved 2016-03-05. 1 2 3 4 5 6 7 8 9 "Vstrechu patriarkha s Papoy nekotoryye predstaviteli RPC schitayut 'predatelstvom'" Встречу патриарха с Папой некоторые представители РПЦ считают "предательством" [Meeting patriarch with pope considered "treachery" by some representatives of the ROC]. newsru.com (in Russian). 25 February 2016. Archived from the original on 2016-02-25. Retrieved 2016-02-25. Дело в том, что внутри Православной церкви уже довольно давно существуют группы фундаменталистски, радикально настроенных православных, которые осуждают всякое сближение Русской православной церкви и Римско-католической. 1 2 Russian Orthodox Church. Bishops' Council of the Russian Orthodox Church (3 February 2016). Постановления [Resolutions]. Council convened 2–3 February 2016 in Moscow (in Russian). Moscow. Archived from the original on 8 March 2016. Retrieved 2016-03-07. ↑ Erasmus (pseud.) (6 March 2016). "Eastern Christian leaders face ultra-conservative grumbles as they prepare for a summit". economist.com (blog). London: The Economist. Archived from the original on 6 March 2016. 1 2 Bercken, Wil van den (2014). "Paradoxes and contradictions in Russian Orthodox ecumenism: an analysis of non-official publications in the 1990s". In Tolstaya, Katya. Orthodox paradoxes: heterogeneities and complexities in contemporary Russian Orthodoxy. Conference held 12–14 September 2011 at Vrije Universiteit Amsterdam. Brill's series in church history. 66. Leiden: Brill. ISBN 9789004269323. ↑ Gorelik, Mikhail (10 December 1994). "Russia's divided Church". themoscowtimes.com. The Moscow Times. Archived from the original on 2016-03-05. Retrieved 2016-03-05. ↑ Goble, Paul (8 November 2015). "Russian Orthodox fundamentalism recalls Islamist kind and will also lead to violence, Ikhlov says". interpretermag.com. Washington, DC: Radio Free Europe/Radio Liberty. Archived from the original on 2016-03-06. Retrieved 2016-03-06. ↑ Synod of the Orthodox Church of Moldova (23 February 2016). "Ofitsialnoye obrashcheniye Sinoda Pravoslavnoy Tserkvi Moldovy k gruppe 'nepominayushchikh' svyashchennosluzhiteley Kishinevsko-Moldavskoy mitropolii" Официальное обращение Синода Православной Церкви Молдовы к группе "непоминающих" священнослужителей Кишиневско-Молдавской митрополии [Official appeal of the Synod of the Orthodox Church of Moldova to the group "nepominayuschih" clergy Chisinau-Moldovan Metropolitan Church]. ru.mitropolia.md (in Russian). Chișinău, Moldova: Moldovan Orthodox Church. Archived from the original on 2 March 2016. Retrieved 2016-03-01. 1 2 Lucie-Smith, Alexander (10 March 2016). "Ecumenical problem number one: Russians barely know what the Catholic Church is". catholicherald.co.uk. London: Catholic Herald. Archived from the original on 2016-03-11. Retrieved 2016-03-11. 1 2 "Russians consider meeting between pope, patriarch useful, support their further contacts – poll". interfax-religion.com. Moscow: Interfax. 9 March 2016. Archived from the original on 2016-03-10. The poll, which surveyed 1,600 people living in 130 populated areas, of 46 regions of Russia, was conducted on February 20–21. 1 2 "Mitropolit Viktorin: Zayavleniye ne soderzhit ustupok so storony Pravoslaviya katolitsizmu" Митрополит Викторин: Заявление не содержит уступок со стороны Православия католицизму [Metropolitan Victorin: Statement does not contain concession from Orthodoxy to Catholicism]. ruskline.ru (in Russian). St. Petersburg, RF. 29 February 2016. Archived from the original on 3 March 2016. Retrieved 2016-03-03. 1 2 "Eto ochen vazhnaya, epokhalnaya vstrecha" 'Это очень важная, эпохальная встреча' [This is very important, an epochal meeting]. ruskline.ru (in Russian). St. Petersburg, RF. 1 March 2016. Archived from the original on 6 March 2016. Retrieved 2016-03-06. Есть понимание общехристианских ценностей, которые там задекларированы, и желание им следовать. Было бы большой ошибкой перед лицом диавола [...] перестать общаться друг с другом и бросать друг в друга камни.